Have you ever thought to yourself, “Hey—isn’t the satire scene getting a little crowded around here?” I bet you think that to yourself all the time these past few weeks, because it’s true. It’s an issue that keeps us up at night, lying in bed, staring at the ceiling, wondering where it all went wrong. Well, we’re fixing that starting today. We’re the Empire, and we’re Striking Back. 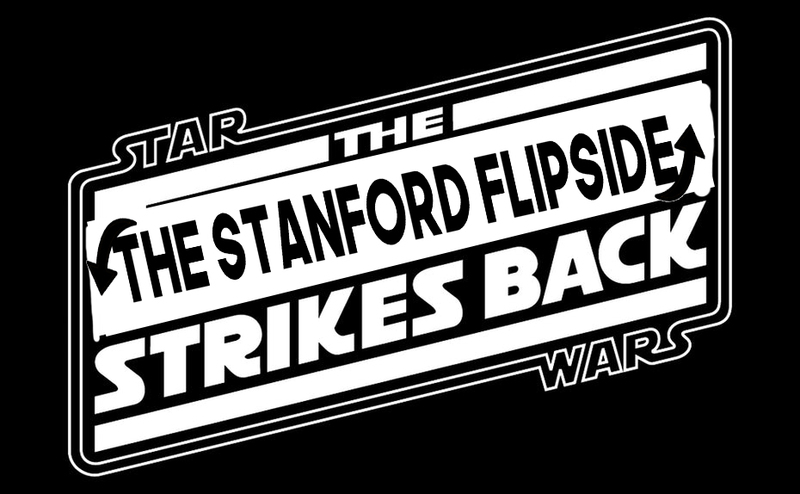 It’s come to our attention that something on campus not named something starting with Stanford and ending with Flipside is trying to publish satire, and that something starts with Stanford and ends with Daily. Yes, hello. How are you. So that’s that. Sorry about your nice building with the doors and the chairs, but we’re going to have to burn it down. All those newspapers will just help the blaze along. And we just want you to know that we derive no pleasure from this, but your attempts to “expand your horizons” and “try out a new genre of writing” just can’t be permitted. We’ll give you some time—we’re not cruel. You have six hours, starting now, to get out of there. We’re not out to hurt anyone—just teach you a lesson. The way that broken kneecaps teach lessons. So gather your stuff, say your goodbyes, take your finals. But we’re past apologies, past forgiveness by now. Events were set in motion the first time you wrote about tectonic shifts—big, tectonic-sized events. And now there’s no going back.